Introductory offer of 20% Off! 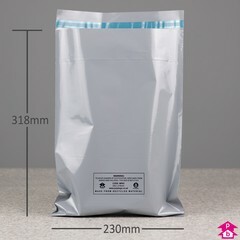 Supplied as handypacks containing 200 grey mailing bags, available in a wide range of sizes at a fixed price per 200. 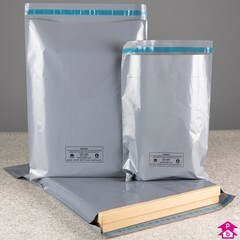 Ideal for Amazon and Ebay traders needing low volumes, or for when you've run out of printed mailing bags and need a few to tide you over. 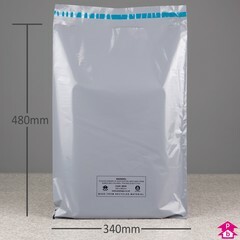 These are hard-wearing mailing bags that are 100% recycled and have a peal 'n seal strip for easy sealing. Choose a next day delivery option for fastest delivery! 113mm wide x 160mm length, 55 micron thickness. (Letter). 150mm wide x 229mm length, 55 micron thickness. (Large Letter A5). 230mm wide x 318mm length, 55 micron thickness. (Large Letter A4). 250mm wide x 350mm length, 55 micron thickness. (Large Letter). 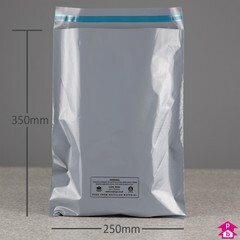 320mm wide x 406mm length, 55 micron thickness. 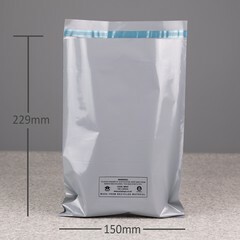 (Small Parcel). 340mm wide x 480mm length, 55 micron thickness. 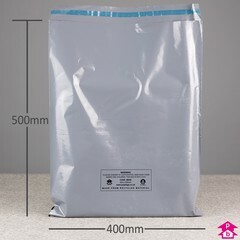 (Medium Parcel). 360mm wide x 405mm length, 55 micron thickness. 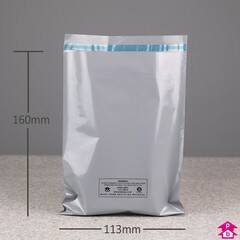 (Small Parcel). 400mm wide x 500mm length, 55 micron thickness. 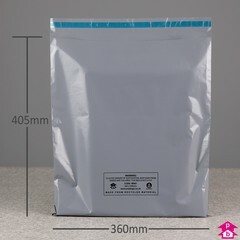 (Medium Parcel A3). 430mm wide x 600mm length, 55 micron thickness. 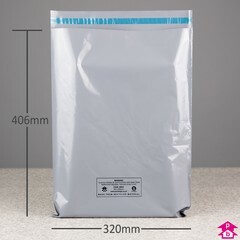 (Medium Parcel A2). 540mm wide x 600mm length, 55 micron thickness. 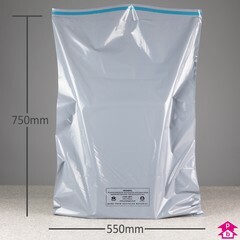 (Large Parcel). 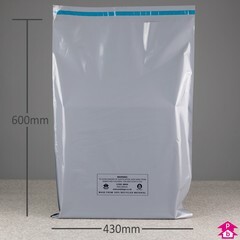 550mm wide x 750mm length, 55 micron thickness. 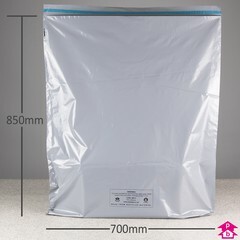 (Large Parcel). 700mm wide x 850mm length, 55 micron thickness. 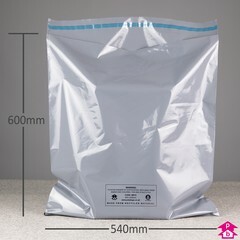 (Large Parcel A1).